For many years, people have been altering the genomes of plants and animals using traditional breeding techniques. Artificial selection for specific and desired traits has ultimately resulted in a variety of organisms under categories of Crop plants, farm animals, and soil bacteria majorly. But this artificial selection has been limited to naturally occurring variations only. In recent times, genetic engineering has been quite advanced allowing precise control over the genetic changes introduced into an organism with, to optimize agricultural performance or to facilitate the production of valuable pharmaceuticals. 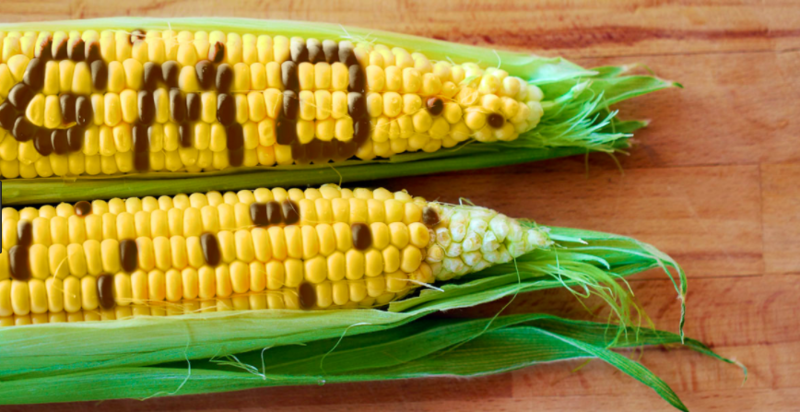 The improved organisms on genetical basis are called Genetically Modified Organisms (GMOs). Agricultural plants are one of the most frequently cited examples of GMOs. Some major benefits of genetic engineering in agriculture are increased crop yields (~22%), reduced costs of production, reduced need for pesticides (~37%), enhanced nutrient content and food quality, resistance to pests and disease, early maturity, building up a tolerance towards environmental stresses etc. A number of animals have also been genetically engineered to increase yield and decrease disease susceptibility. These GM crops have marked themselves as valuable and economically viable. China was the first country to allow commercialisation of GM (transgenic) crop in the world, after which other countries also permitted the same. Different countries have different rules and regulations regarding GM crop production-regulated, restricted or permitted. 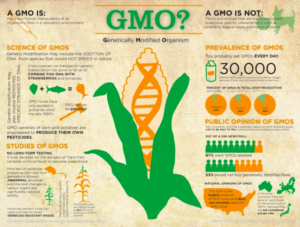 The production of GM food is increasing each and every year as the area under GM crops has increased by a factor of hundred in past twenty years. Major GM crop producing countries are US, Argentina, Canada and China. In USA, around 80% of maize, cotton and soya grown is genetically modified. In India, only genetically modified cotton (ie. bt cotton) is permitted (fourth largest acreage strength in the world) whereas bt brinjal and bt mustard are still under debates for their approval on being commercialised. The pharmaceutical industry is another frontier for the use of Genetically Modified Organisms. In 1986, human growth hormone (HGH) was the first protein pharmaceutical produced by plants, and in 1989, the first antibody was produced. In both the cases, tobacco plant was used to be genetically modified and express foreign genes. The use of genetically modified animals has also been indispensable in medical research as Transgenic animals are routinely bred to carry human genes, or mutations in specific genes to allow the study of the genetic determinants of various diseases. Genetic Engineering has always been an issue of controversy leading to a thought of as an indispensable tool for solving the world’s agricultural problems for some, and denounced by others as they treat them as potentially catastrophic dangers. People on positive side for use of GMOs find them as a solution for problems such as food shortage, environmental resource scarcity and weed & pest infestation, while on the negative side, GMOs are taken as new risks to food security, the environment and human health along with biodiversity loss, pest and super weeds emergence and increase in antibiotic resistance. Despite the fact that the genes being transferred occur naturally in other species, there are unknown consequences for the genetic alteration of natural state of an organism, as these alterations can change the organism’s metabolism, growth rate, and/or response to external environmental factors which would ultimately put life of other organisms to risk. GMOs have always been in issues for their adoption since their development. They have their side effects, but also, their advantages towards food security can never be neglected.